Irish chefs have traveled across the sea to cook for diners in Newport: Kinsale's sister city. Did you know Newport, Rhode Island, has an Irish “sister” city? And unlike most siblings, they get along so well, chefs from Kinsale, Ireland, are cooking alongside Newport chefs during Irish Chef Exchange Week. As Newport celebrates Irish Heritage Month for the 40th year, local restaurants welcome guest chefs from the “Gourmet Capital of Ireland” March 3-9. Make reservations now to dine at one of these participating Newport restaurants, which will offer dining specials from select Kinsale restaurant menus: La Forge Casino Restaurant, Malt on Broadway, Midtown Oyster Bar, Mainsail at the Newport Marriott and The Fastnet Irish Pub. Irish chefs will also collaborate with caterers McGrath Clambakes and Kitchen Companion. Partner restaurants from Kinsale sending culinary teams across the pond include Actons Hotel’s Sidney’s Bar & Brasserie and Fisher Street Restaurant, Blue Haven Hotel’s Blue Haven Restaurant & Bar and Aperitif Wine & Tapas Bar, Toddies at the Bulman and Restaurant d’Antibes & The Bistro at The White House. This cultural exchange will also feature opportunities for diners to meet the restaurateurs and chefs from Newport’s sister city. 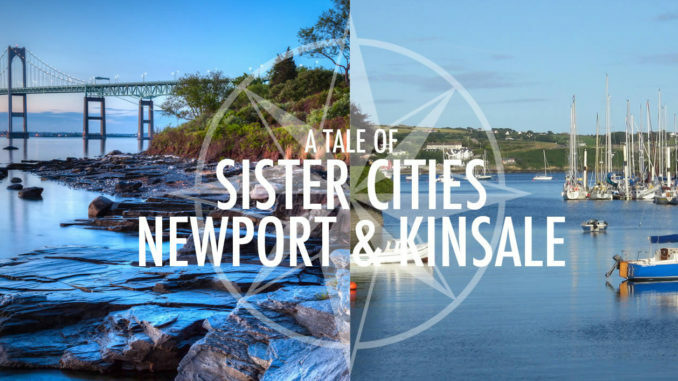 Newport and Kinsale are a natural fit, as the two destinations share commonalities including an active harbor and sailing community, a rich history, a thriving tourism season and an acclaimed dining scene. Since 2002, their sister city partnership has yielded many mutual benefits ranging from economic development opportunities to educational exchanges. Should the Citgo Sign Be Saved?